Flynet Xcelsius Server combines the latest web service generation technology with the renowned SAP Crystal Dashboard Design (Xcelsius), to bring you real time dashboards connected to virtually any database, instantly accessible from both mobiles and desktops. Flynet Xcelsius Server is a server based, device agnostic solution that allows you to central design and manage your dashboards and deploy them on the internet for instant access by your users. It includes the latest version of SAP Crystal Dashboard Design (Xcelsius) with unlimited data connections, to allow you to monitor your KPIs in real time. With Flynet DataConnect also included as standard, connecting your dashboards to your live business data has never been simpler, with real time dashboards being built in hours, not months. Support for Flynet Xcelsius Server is both direct and personal, helping you to get up and running as quickly as possible. Flynet Xcelsius Server has a unique licensing model that can accomodate a combination of named user licenses and concurrent session licenses, giving you the flexibility you need, while saving you from any unnecessary outlay. Most importantly this product is both complete and standalone. 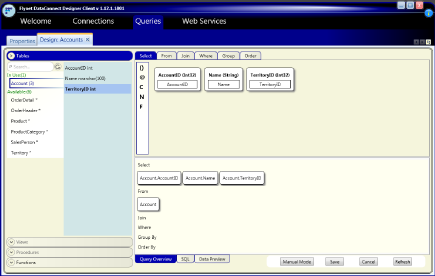 There are no other components or licenses required to connect and view your Xcelsius dashboards. You do not require Crystal Reports Server or any of the SAP/Business Objects stack products to take advantage of these Xcelsius dashboards in your organisation. Flynet Xcelsius Server has been tested by business users and developers, receiving rave reviews from both groups. For the first time, business users with no prior knowledge of SQL are creating Xcelsius dashboards connected to real time data; allowing them to design the dashboards they need to better run the business. 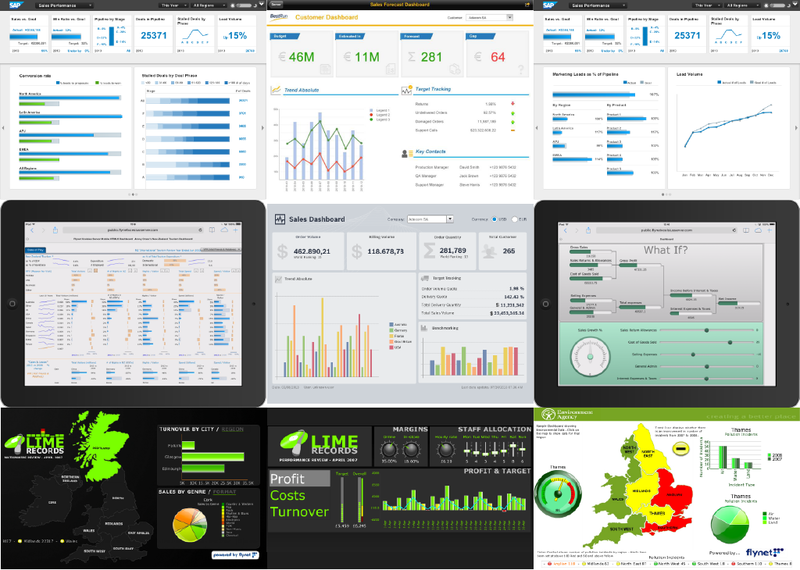 You are also able to create more sophisticated, complex dashboards in a fraction of the time, leading to huge efficiency savings. The dashboards can be published in either flash, HTML5 or both, allowing your users access from almost any device or browser. Flynet Xcelsius allows you to connect to unlimited web services, so users can create meaningful dashboards with multiple drill downs. All other SQL based ODBC and OLEDB compliant data sources are compatible in 'free text mode', where you can type your own SQL, which DataConnect will then convert to a web service. DatConnect allows you to manage your connections and store them in a central location, this minimises the workload as dashboard developers can reuse connections that their colleagues have created to access the same data.